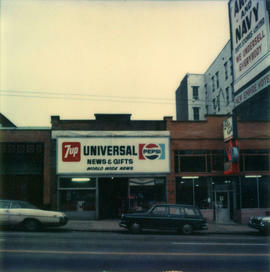 Sign for Universal News and Gifts can be seen. 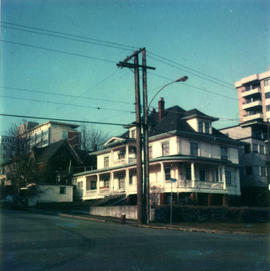 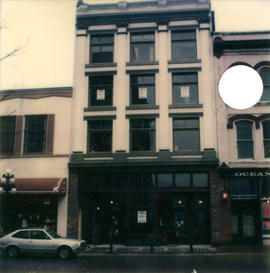 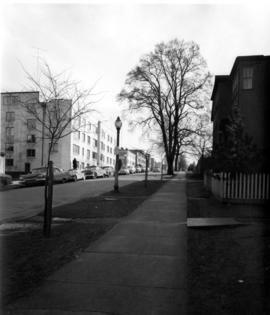 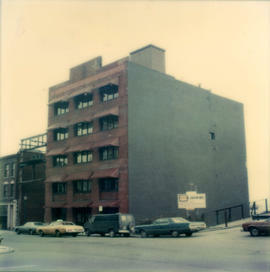 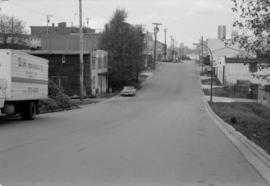 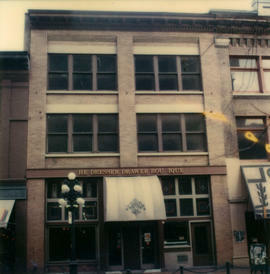 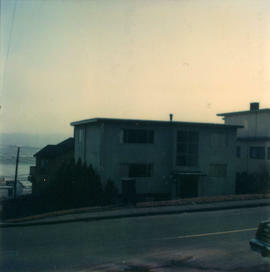 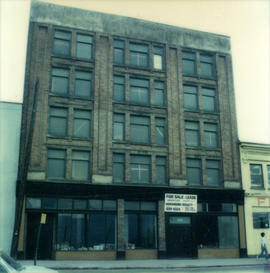 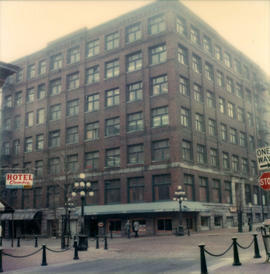 Photograph shows 15 to 19 West Cordova Street from across Cordova Street. 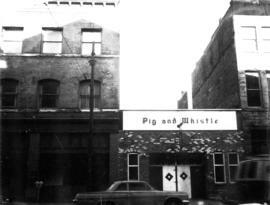 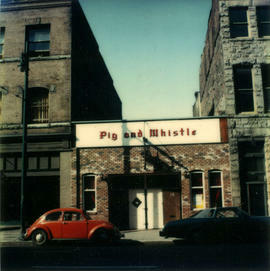 Business shown is the Pig and Whistle pub. 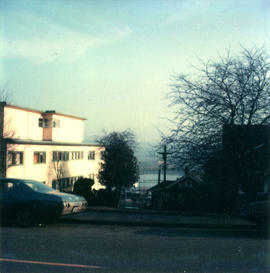 A car is parked outside the pub. 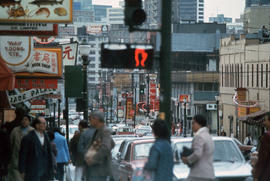 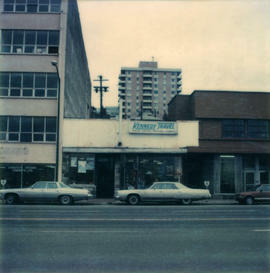 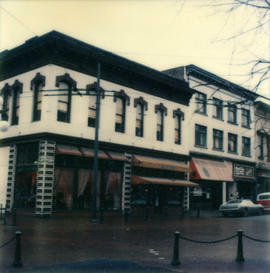 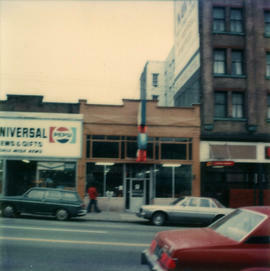 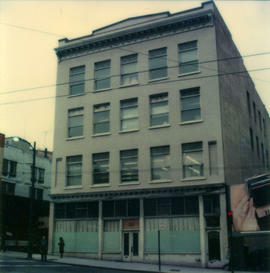 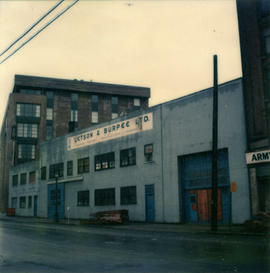 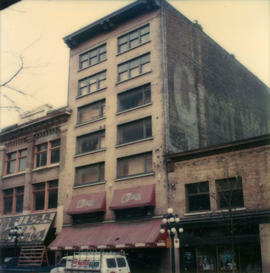 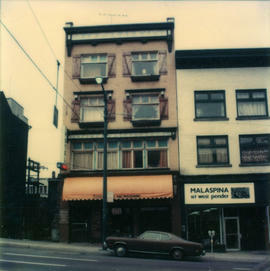 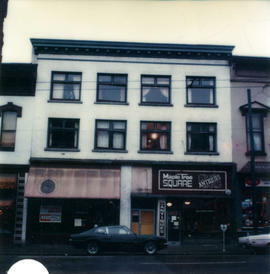 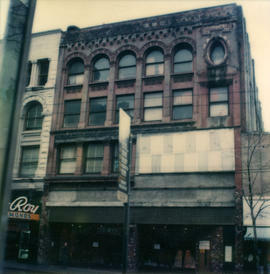 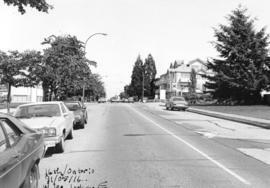 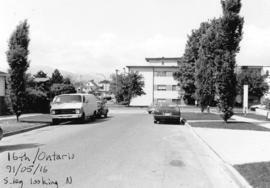 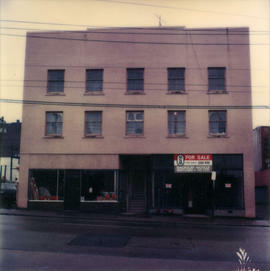 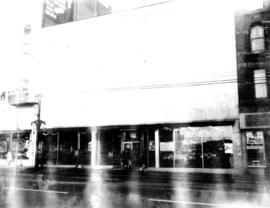 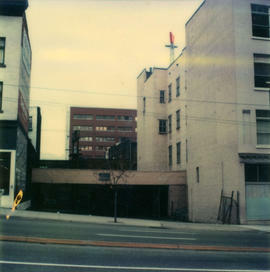 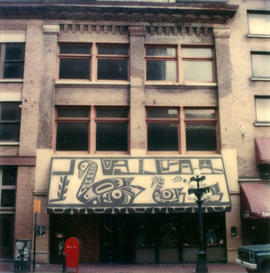 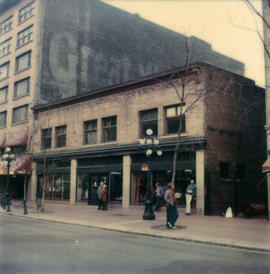 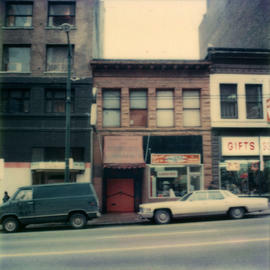 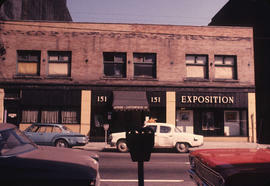 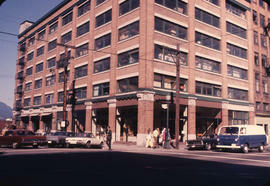 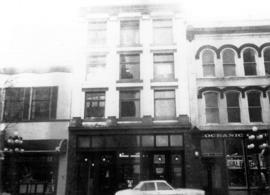 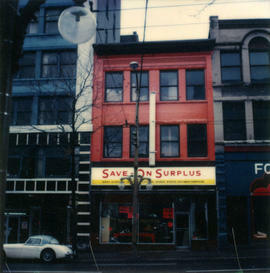 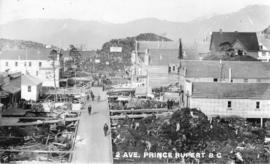 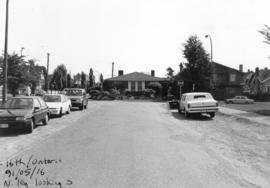 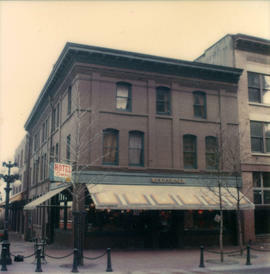 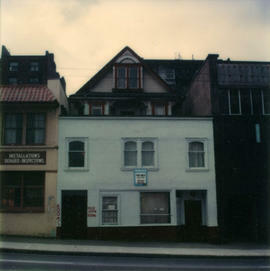 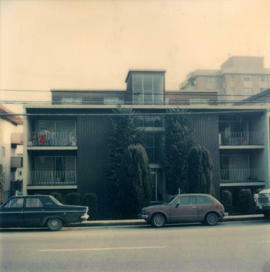 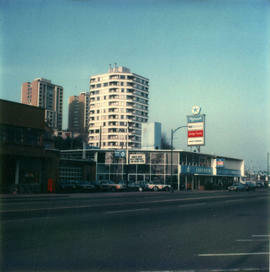 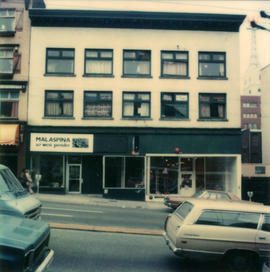 Photograph shows 15 to 27 West Hastings Street from across Hastings Street. 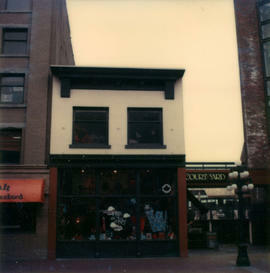 Photograph shows 16 to 22 Water Street from across Water Street. 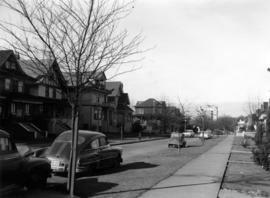 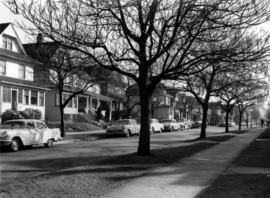 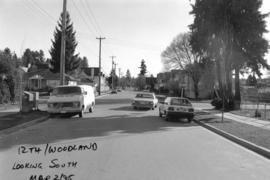 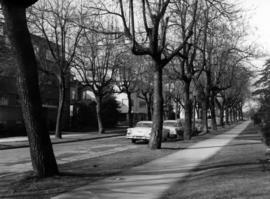 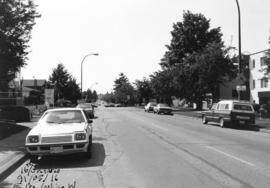 Photo also shows street lamps and a parked car.